H1Z1 developer Sony Online Entertainment has made clear its monetisation stance in its zombie survival sandbox game. While it’s free to play, there will of course be payments, and company president John Smedley has discussed his team’s approach in a second Reddit update. Details of his first H1Z1 Reddit session can be found through the link, and saw him laying down some initial details. It’s a good first start if you’re keen on the project. But now the issue of money has come up, and Smedley was happy to oblige with some feedback. “You will be surprised to hear we have intentionally left the decisions about what to monetize until we can hear from you,” he opened. “This isn’t some contrived thing.. I’m being serious. It is a nearly blank slate. 1) This will be a F2P game (after early access). During early access it’s going to cost $19.99 to play. 2) We are not interested in selling weapons. Weapons are only aquired by crafting or exploring and finding one. We are not selling power. 3) The game at it’s core is about survival. Our preference is not to sell ANYTHING that can help with that. If this game is too hard for you play another one. We don’t want to give shortcuts for our core mechanic. 4) Wearables – we DO see wearables as an obvious “heck yes” kind of thing. I think it’s perfectly reasonable to have most wearables be purchaseable. Of course we will still have plenty to craft, find and wear for free. 5) We made this game because we love making games and entertaining our players is why we exist. That being said, we do need to make money. Your ideas are appreciated greatly but if we can avoid the “hey give us everything for free because you owe it to us since you’re a big company and we should get free games” commentary it would help a lot. @DarrickSmith I happen to think Day Z is an incredible game. H1Z1 wouldn't exist if not for Day Z. I don't want to run from that. 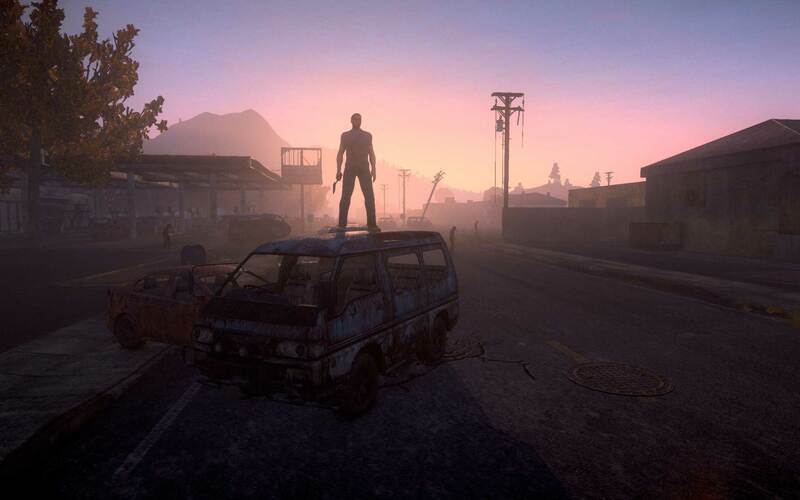 We’ll have more on H1Z1 as it comes.